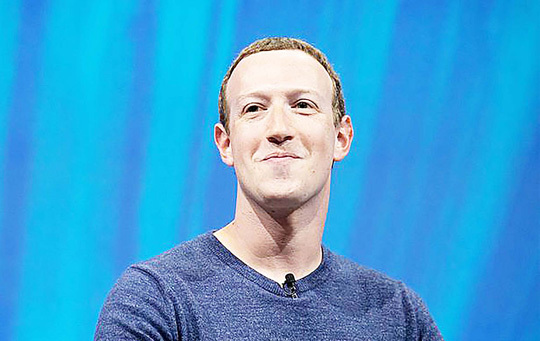 San Francisco—Fifteen years after its founding, Facebook has made strides toward Mark Zuckerberg’s goal of connecting the world. But it has also made some huge missteps that have turned some of its cheerleaders into vocal detractors. The online social network founded on Feb. 4, 2004 in Zuckerberg’s Harvard University dorm heads into adolescence with the grown-up burdens of being held accountable for its behavior and playing in a world where people may not always have the purest intentions. Facebook has seen unprecedented success by amassing more than 2.3-billion people worldwide who actively use the platform to share updates, obtain information and connect with new people. “This is a very powerful company that has created an addictive product that many people are dependent on,” said author and analyst Josh Bernoff. “After the challenges of 2018, it is no longer lauded for its innovation. It is scrutinized and criticized for its every move,” eMarketer principal analyst Debra Aho Williamson said. Zuckerberg, 34, recently renewed his defense of the social network’s business model, adamant that Facebook did not sell user data. Bernoff saw Zuckerberg’s latest defense as contending that Facebook is here to help people, and thus can be trusted. “We have learned in capitalism that when companies get a lot of power and say they are doing what is best for you, we need to scrutinize them more,” Bernoff said. If history is an indicator, then Facebook’s true threat could be a lifestyle shift to a different way of interacting with computers. “The future is going to be increasingly related to voice, and to companies and individuals interacting through artificially intelligent agents,” Bernoff said. It now has more than 30,000 people “working on safety” and invests billions of dollars in security, according to Zuckerberg. “The trolls have a financial incentive to pervert the way Facebook works, and it is costly for Facebook to prevent that,” Bernoff said. According to eMarketer, 46.7 percent of internet users, or slightly more than 23 percent of the world’s total population, use the core Facebook app any given month. “Facebook will need to make international growth a bigger priority this year and in the coming years,” Williamson said. Facebook also needs to be a leader in undermining manipulation and fake news, protecting user data and keeping up with consumers’ changing communications preferences, according to the analyst. Zuckerberg’s personal goal for 2019 is to convene a series of public forums on how technology can better serve society. “I’m going to put myself out there more than I’ve been comfortable with and engage more in some of these debates about the future, the tradeoffs we face, and where we want to go,” Zuckerberg wrote in a Facebook post outlining his goals.